Double Exposure, a project of the investigative news organization 100Reporters, celebrates the finest new films inspired by the investigative instinct. It combines film screenings for the public with a professional symposium for journalists and visual storytellers. Now in its fourth year, DX does more than just identify and celebrate a new genre of filmmaking. It casts this vital body of work toward recognition as a coherent artistic vision. 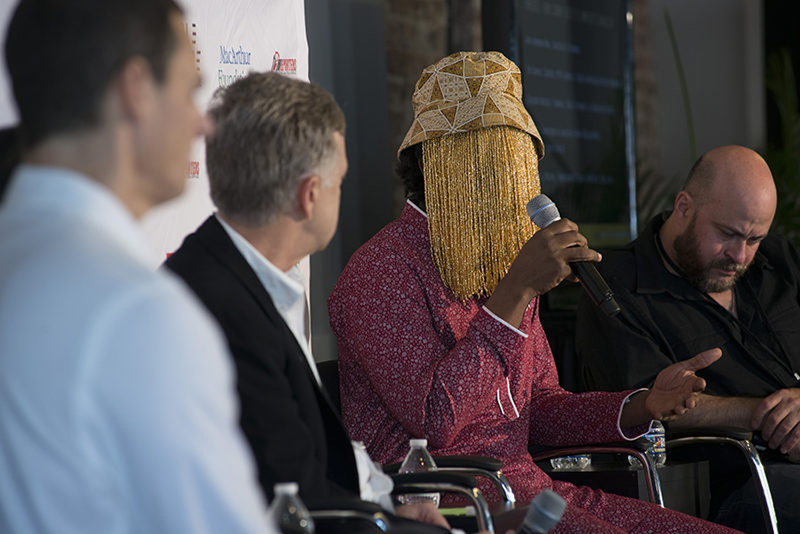 It connects audience appreciation for creative output to the rights of reporters and filmmakers to pursue investigations in the public interest; it ties stirrings of artistic curiosity to practical consequences and groundbreaking storytelling to policy changes. As DX 2018 approaches, public awareness of investigative reporting’s importance for a vibrant democracy has never been more urgent–particularly in Washington, epicenter of the assault on verifiable truth. As grave as may be the efforts to stifle watchdog journalism, however, there is also light: a rebirth of relentless investigative reporting alongside exciting new forms of storytelling that mix journalism with film, serial podcasts in audio and video, hybrid storytelling, virtual reality–even poetry. David Simon moderates post-screening discussion of 2015 Opening Night Film, Spotlight, with (from left to right) film subjects and investigative reporters Mike Rezendes, Sacha Pfeiffer, screenwriter Josh Singer, director Tom McCarthy, Ben Bradlee, Jr., Walter Robinson, and Martin Baron. Double Exposure screens timely, compelling films drawn from the notebooks and experiences of investigative journalists and visual storytellers working across a variety of media, whether in print, radio, or film. The films presented at Double Exposure include new narrative and documentary works that are either about investigative journalism or journalists, based on investigative reporting, or films that are investigations unto themselves. All screenings are followed by lively discussions with directors, producers, protagonists, subject experts and journalists. The caliber of speakers at Double Exposure was set from the inaugural festival’s marquee opening night in 2015, which screened the Washington premiere of Spotlight, winner of the Academy Award for Best Picture and Best Screenplay. An on-stage discussion with the director Tom McCarthy and screenwriter Josh Singer, along with reporters and editors of the Boston Globe’s original Spotlight team and Washington Post editor Martin Baron, followed the screening. David Simon, the former Baltimore Sun reporter and creator of such massively successful television series as The Wire and Tremé, moderated. In year two, Double Exposure’s closing speaker was Ezra Edelman, director of O.J. Made in America, winner of the Academy Award for Best Documentary in 2016. 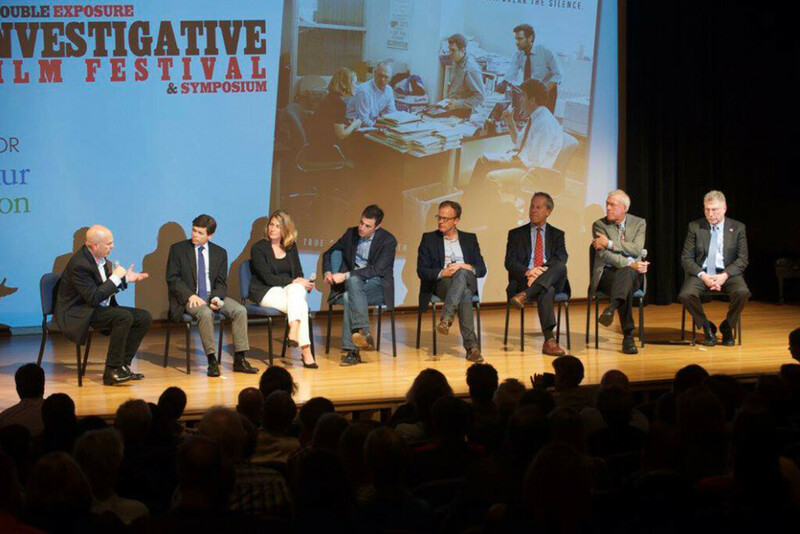 Symposium sessions in 2017 included one-on-one conversations with leading investigative journalists and filmmakers, like Chuck Lewis and Jane Mayer, panels exploring New Frontiers in Storytelling, philosophical, creative and legal issues at the crossroads of film and journalism, such as Interrogating Media, on films that question pivotal media coverage, and hands-on workshops, like taking investigations From Print to Screen, and Fact Checking for Filmmakers. New in 2017, Double Exposure hosted a pro bono legal clinic with leading First Amendment and entertainment attorneys. © Copyright 2019 Investigative Film Festival. All rights reserved.